A good manicure makes me feel so put together, but my wallet and frugal soul forbid my presence at the nail salon with few exceptions. Fortunately, I have a steady hand and can do a pretty decent polish job at home. 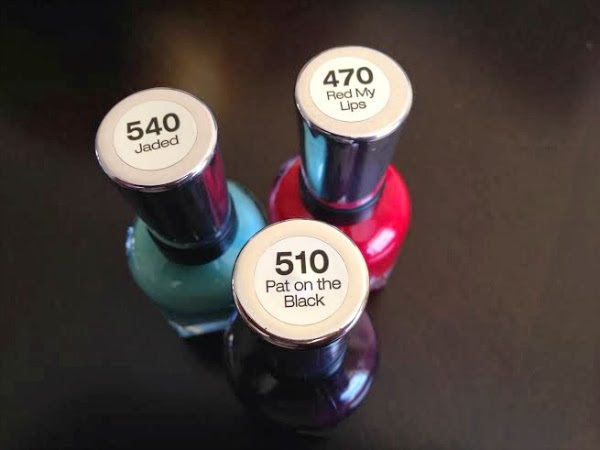 I've tried so many nail polish brands and types but am loyal to my go-to bottles. Most of those bottles are Sally Hansen, specifically the Insta-Dri polishes. 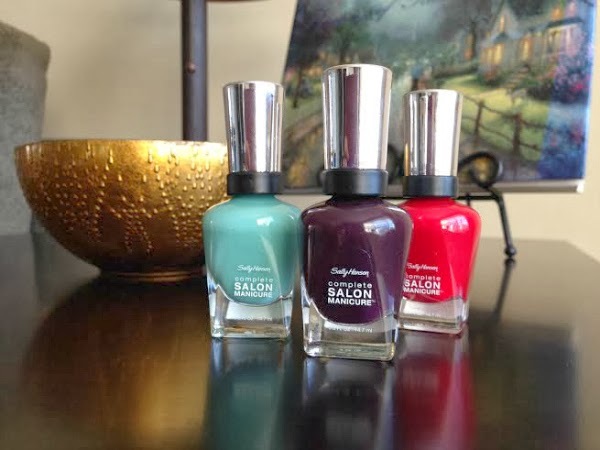 When I got Sally Hansen's Complete Salon Manicure polish, I was a little skeptical. It promises a lot of things! Speedy application, streak-free, and even color coverage. And by "complete," Sally means that this one bottle functions as a base coat, strengthener, growth treatment, color, top coat, chip resistant layer, and gel shine finish. Well, I put Miss Hansen to the test. Last week was an important one at work, and I had weekend plans in Nashville, so a nice mani sounded like a good idea. + Sally continues her winning streak. I love this stuff. It doesn't live up to all its promises, but it's pretty darn good! + The brush is perfectly shaped and makes it really easy to get a nice line along the cuticle. This brush gives the product bonus points. + I love the color "Pat on the Black." It's a deep color that doesn't look flat on my skin (like black does). I can't wait to try the others. + I can't say after ten days whether or not it truly possesses the strengthening and growth powers as advertised. Only time will tell. + Two coats did the trick, but I had to apply a slightly thicker (for lack of a better word) second coat in order to get the color perfectly even. * I received these products complimentary from Influenster for testing purposes. I don't paint my nails often, but when I do, I feel put-together, too! I love deep colors. Gotta try that "Pat on the Black". Your nails look smashing, by the way! Oh, and a huge congrats on your new position at work! I ADORE Pat on the Black. I've worn it non stop this fall and winter. 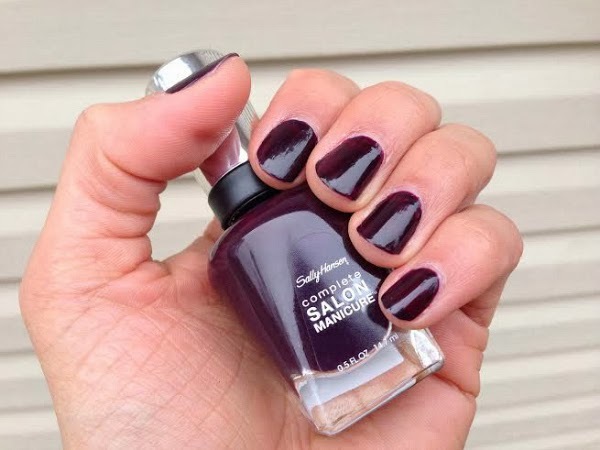 Complete Salon Manicure has definitely become one of my favorites to use! I love these colors! I usually have to keep my nails painted so that I won't bite them. You have such pretty fingers! so awesome! Love that color too! I love the mint green color that's pictured. OPI is usually my go-to for nail polish colors, but I may pick up a bottle of this. I could definitely use a nail polish that helps strengthen my nails (as mine aren't very strong at all). Did you reapply the color coat as well, or does it not chip to badly?